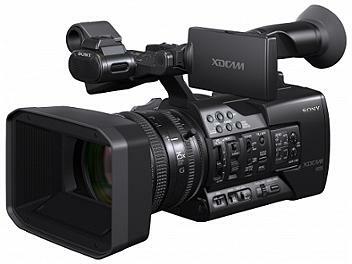 The Sony PXW-X160 is a Full HD sensor XDCAM camcorder, ideal for a wide range of applications from education/ videography to broadcast. Angle of view becomes smaller over 60fps. I use two of this cameras for live imag through a Roland 1SDI. I love this camera, works well in low light. Just with Full Auto function I could get in-experienced volunteers to shoot great videos. Though the Auto Focusing is some times slow and for a moving object shift focus more frequently so we are to be using manual focus which is not ideal to us using volunteers to shoot.